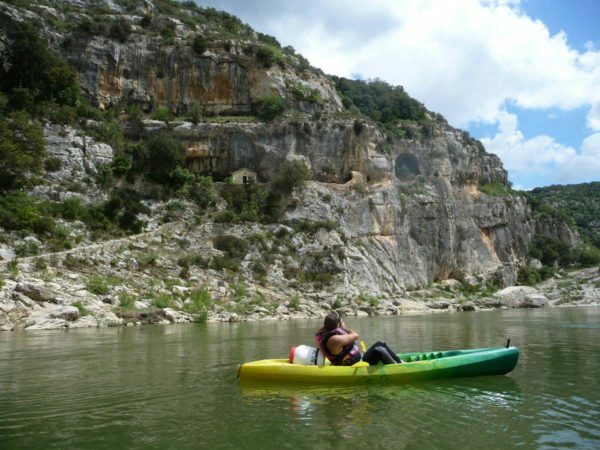 by Kayak Vert Pont du Gard. You start from Russan and have the choice to navigate either 30 km, or 22 km (22 km ends at Collias and the 30 km end at Pont du Gard). After departure from Russan, you dive into the Gorges du Gardon and its meanders. 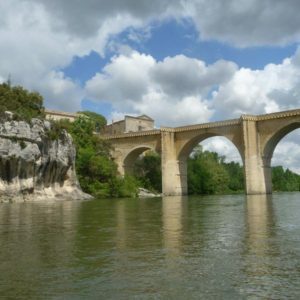 11 km after you will go under the Pont Saint Nicolas, bridge with a medieval arch from the 13th century, located above the Gardon river, built 1245 to 1260. After 6 km of navigation you will reach La Baume Saint Vérédème (its Hermitage, grotto: a magnificent site) then you will let yourself slide up to Collias (beware of the small dam you will need to cross upon arrival). You have navigated for 22 km. You only have another 8 km. Pont du Gard is not far now. Don’t slow down! 1) Day 1: descend up to Collias (22 km) and overnight camping. 2) You can halt for camping wherever you wish and the following day you finish the trek. And 2/3 seat canoe (Canadia), unsinkable. 1 container 55L per person, lifesaver jacket, simple or double paddle. 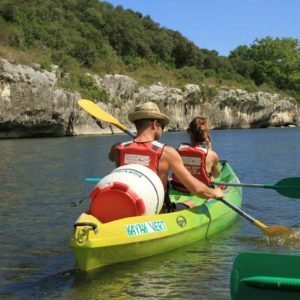 Kayak Vert Pont du Gard. 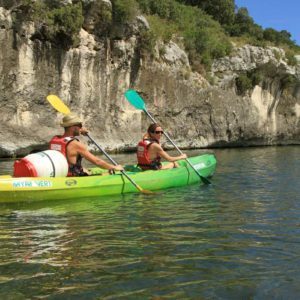 KAYAK VERT Pont du Gard is the oldest canoeing kayaking base in the area. We have been established in Collias since 1978. It is with the greatest pleasure and professionalism that we will share our experience with you and our knowledge of both our business and our region. 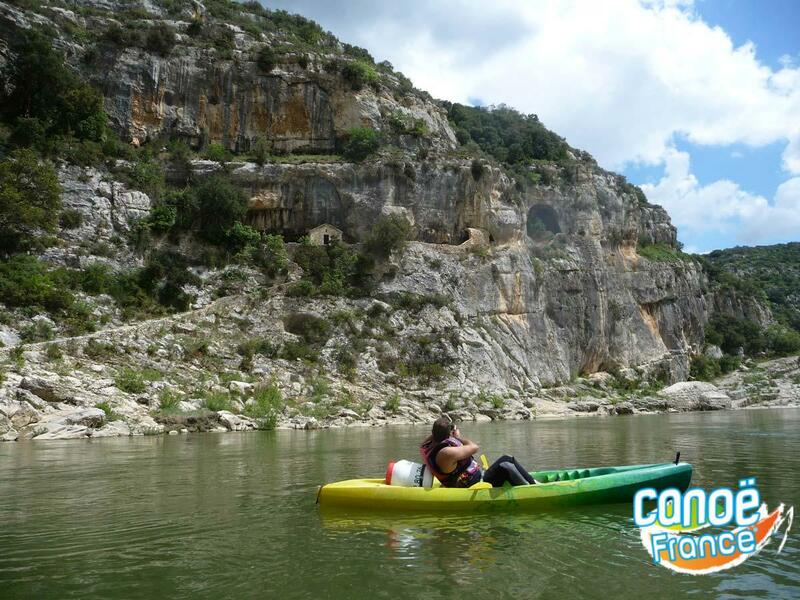 A flexible business, KAYAK VERT Pont du Gard can receive both individuals as well as groups. We carry more than 350 boats (canoes with 2, 3 or 4 seats and single kayaks, the most recent models, renewed and maintained regularly. Private Parking at the entry of the village from the Remoulins sur Uzès road or at the exit of Collias (UZES-REMOULINS direction) from Cabrières or Sanihac. Regular shuttles are available to take you to the edge of the Gardon river.